It was her idea, to hear her tell it… get a cellular phone and stop all of the add-on charges the local telephone company puts on her monthly bill "because they can." She also wanted to be able to call her kids on a regular basis –we're all toll calls– both to keep in touch and to let us know she's alright. 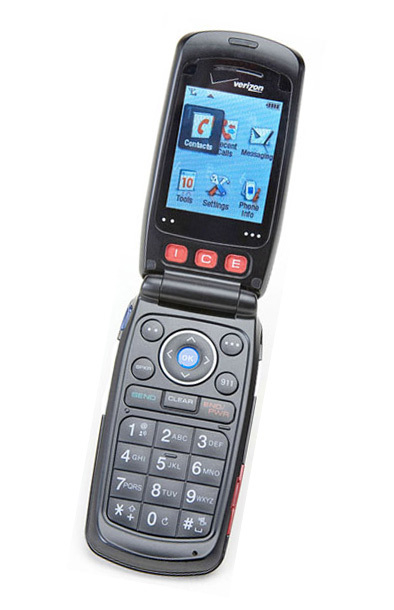 So, with the help of her kids, my 80-year-old mom now has a spiffy new Verizon Coupe cell phone as a Christmas gift. Voice quality was excellent when she called me as a test. She's supposed to carry the phone with her at all times so that she can summon help if needed whether she's using the snow thrower, mowing the lawn, or gardening — she may be older but she's not frail! We all hope it works out well during the 38-day trial period and, if it does, she'll have the landline disconnected and the phone number she has had for decades will belong to the Coupe.